When Timberland makes men's jackets, they build them right. This extra rugged Timberland PRO Men's TB0A11A3 015 Jet Black Baluster Insulated Water-Resistant Jacket has numerous special features that you'll appreciate - whether it's cold outside, raining, or both. T ... (see full details) (see specifications) #TPWTB0A11A3015. When Timberland makes men's jackets, they build them right. This extra rugged Timberland PRO Men's TB0A11A3 015 Jet Black Baluster Insulated Water-Resistant Jacket has numerous special features that you'll appreciate - whether it's cold outside, raining, or both. The 12-ounce cotton canvas material in this Timberland jacket has a durable, water-repellent finish that's designed to shut out the elements and prevent them from ruining your day. This unique water-repellent outer layer is also reinforced and breathable. It resists moisture penetration, which will keep you dry all day long. The jet black jacket has rib storm cuffs to keep the wind out, too. You'll enjoy the warmth of the insulated quilted nylon lining that's built for comfort, and it retains heat to protect you from low temperatures. 100-gram insulation is in the chest of the Baluster jacket, and 80-gram insulation is in the arms to provide you with the perfect mix of warmth and breathability. There's even a stand-up collar to help you stay extra cozy inside. There are two zip chest pockets to store your necessary gadgets, and there are also two lower front pockets, as well as an inside chest pocket with a hook-and-loop closure for additional storage. These are designed to keep your gear safe and secure while you're bundled up in this men's outerwear. An inside locker loop at the center back is great for hanging this up during your lunch break. 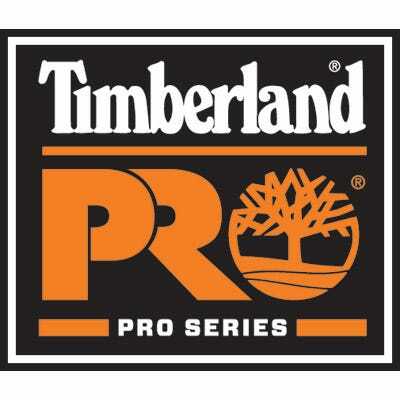 Before the rain clouds make their way into your local radar, order yourself a Timberland PRO Men's TB0A11A3 015 Jet Black Baluster Insulated Water-Resistant Work Jacket from Working Person's Store. Timberland knows a thing or two about insulated outerwear, and they'll make sure you have the warmth and water-resistance you need! Timberland PRO Jackets: Men's TB0A11A3 015 Black Insulated Water-Resistant Jacket is being added to your cart.